This 2016 Annual Integrated Report is a major milestone in Solvay’s journey towards integrated reporting, which was initiated two years ago, as our introductory section is based on the framework established by the International Integrated Reporting Council (IIRC). It underpins our commitment to sustainable and long-term value creation. 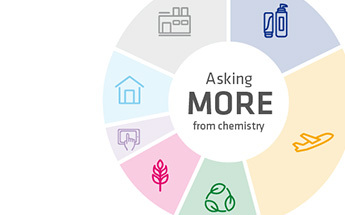 At Solvay, we are convinced that value creation is meaningful only if it is truly enduring. The standards by which we judge our success can only be those in which the sustainability of the planet and the well-being of its people are central concerns. We take financial and extra-financial criteria into consideration in operational management and strategic decisions. This is why we unveiled the alignment between financial and extra-financial mid-term objectives in 2016 – covering the 13 issues categorized as being “priority” or “high materiality” topics in a comprehensive materiality analysis that we fully reviewed in 2015. 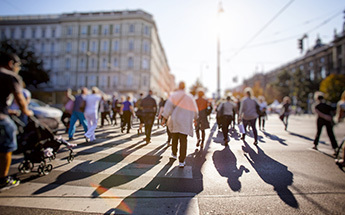 Another first for Solvay: this Annual Integrated Report is aligned with the Global Initiative Reporting (GRI) standards and the information provided serves as a progress report on the implementation of the ten principles of the United Nations Global Compact. The “Overview” section of this report follows an integrated approach, aligning and simplifying content and putting it into the perspective of our vision and strategy, linking material information, and providing an outlook to the future. 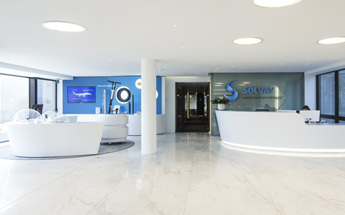 The Overview focuses on priority topics for Solvay, presenting the objectives that the Group has pursued over the last few years and its recent key achievements. The Management Report supplements the information provided in this Overview, including a focus on high materiality issues.